The holidays can be fun, but they also can be a source of great stress for different people, for different reasons. While it may be difficult for us to understand how a season of such joy and good cheer can be difficult for others, our best efforts to understand and tolerate reactions we may not understand will likely be the greatest gift of the holiday season. 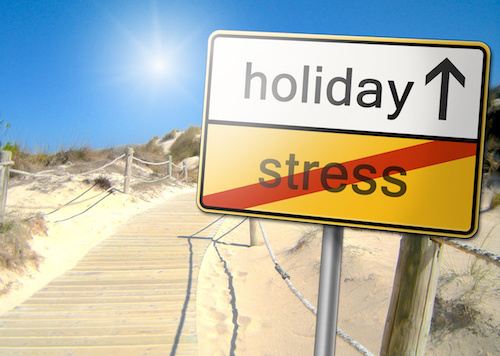 Here are some common holiday stressors and suggestions for managing them. How Can You Deal With Difficult Family Interactions During the Holidays? Being realistic is the first step. Family dynamics typically revert to historic patterns when families come back together. You don’t have to pretend that all is well, but, you can sidestep difficulties by anticipating them and planning on ways to temporarily separate and defuse. Do Financial Pressures Stress You Out to the Point of Ruining the Holiday Spirit? Know your spending limit. It’s one of the most effective ways to relieve holiday stress. People believe that they have to go out and buy gifts because it's the holidays, even when they can't afford to do so. Not only is it stressful to feel that you have to buy everyone a gift, but you'll be stressed for the rest of the year trying to pay off your bills. Perhaps this is the year to make a pact not to exchange gifts but to share time together. This could also help someone who isn’t in a financial position to exchange gifts with you. How Do Time Pressures Affect You Around the Holidays? Putting routines on pause or totally rearranging schedules because of the holidays are the ingredients for exhaustion and chaos. Prioritize activities that are important to you and fit these in around important replenishing activities like sleep, proper meals and exercise. How Do You Deal With the Holidays When You Have Just Experienced a Recent Tragedy, Death or Break-up? If you're feeling really out of sorts because of a loss or stressor, try to tell those around you what you really need, since they may not know how to help you. Ask for their understanding if you decline an activity or can’t summon up the holiday spirit. Give yourself permission to grieve just as you would any other time of the year and don’t feel compelled to participate in events that will only add to your sense of loss. How Do You Cope With Kids Who Want Everything for the Holidays? too expensive. Even Santa Claus has limited funds and has to choose what most to give because he has a very long list. You can also tell your children that Mom, Dad and Santa Claus will try to choose the most suitable present for the child. Children have to learn that their wish is not necessarily someone else’s command. They must learn to curb their desire for instant gratification. How Do You Manage the Holidays If They Start Feeling Painful? If you are unable to shake what you think are "holiday blues” your feelings may not be just about the holidays, but about other things in your life. If you need help in sorting out or dealing with painful thoughts or feelings, call your AFA EAP for confidential assistance.